In the years after World War I, Congress passed the Quota Act of 1921, followed by the Immigration Act of 1924, also known as the Johnson-Reed Act. The 1924 Act established a quota for the total number of immigrants allowed per annum at 165,000— less than 20 percent of the pre-World War I average— and based ceilings on the numbers of immigrants from particular nations on the percentage of that nationality as recorded in the 1890 census. The latter provision was clearly aimed at limiting immigration from Southern and Eastern Europe, which mostly occurred after that date, as well as upholding an effective ban on immigration from Asia. 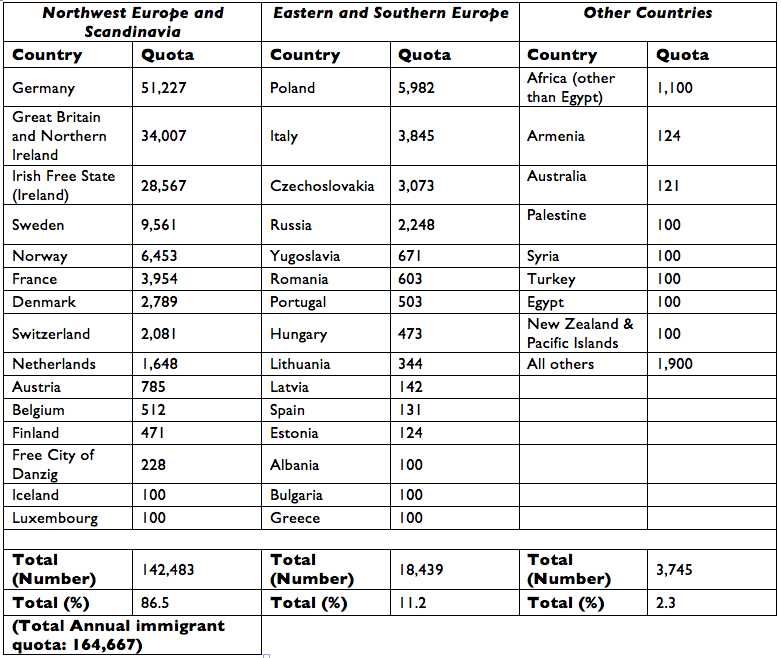 The following table shows the quota allowed for each nation under the new system. Source | American Social History Project adapted from Statistical Abstract of the United States (Washington, D.C. Government Printing Office, 1929), 100. 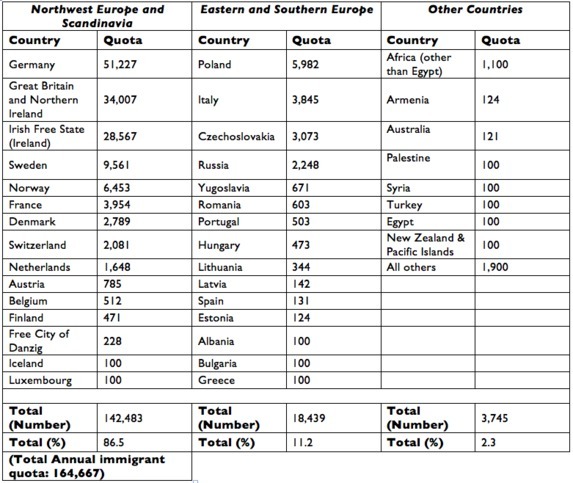 Cite This document | American Social History Project, “Table of the Quota System Targeting Specific Immigrant Groups,” HERB: Resources for Teachers, accessed April 20, 2019, https://herb.ashp.cuny.edu/items/show/1230.